Sometimes overlooked, parental controls are a simple but effective way for an antivirus program to keep your PC, mobile and family safe online. The best antivirus software will provide parental features that are not only easy to setup, but just as tough to crack. 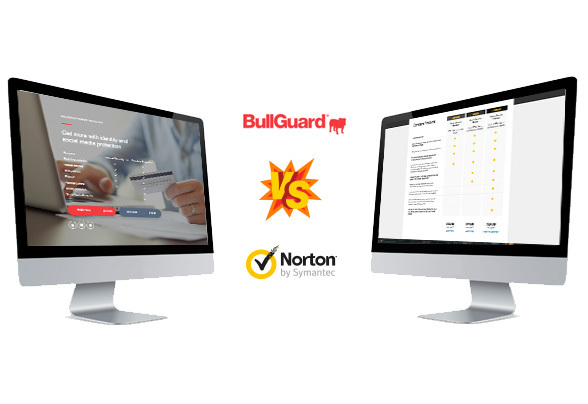 BullGuard and Norton antivirus are both well known in the online security community, but which has the best parental controls? Continue reading to learn more and check out the best antivirus software comparison here. Norton Family is award winning and for good reason. 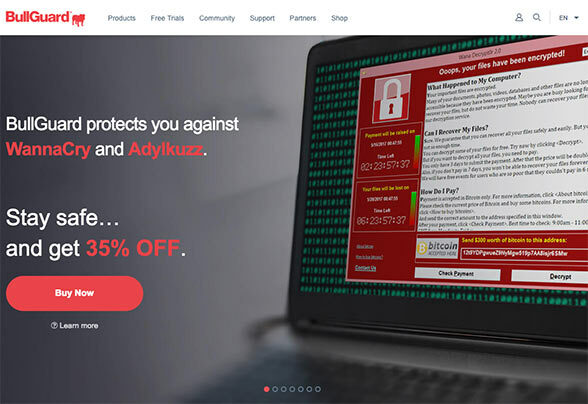 In addition to guaranteed top-notch antivirus and anti-malware protection, all family protection packages include a variety of tools to help kids develop safe browsing habits and learn how to avoid sketchy websites. By working together - Norton, parents and kids - can learn to stay safe from predators online and identify dangerous situations before they occur. Web: supervise the types of websites visited. Time: monitor how long is spent online and set limits. Search: limit and log search engine results. Social Media: track your kids on social media, see who they are tweeting and private messaging. Video: block explicit video and ensure only appropriate videos are shown in search results. BullGuard doesn’t allow parents to supervise their kids as much, but it provides a simple and straightforward process for monitoring, filtering and blocking specific content. Additionally, BullGuard logs all data that is stored in a database so that it can be reviewed at any time. Adult or sexual content: all sites linked to gambling, sexual content and more are completely blocked. Messaging/Communication: social media sites, chat rooms, text messaging and more can be limited or blocked. Shopping: easily block shopping sites like eBay, as well as advertisements for items like alcohol or tobacco. TV and Movies: block legal and illegal streaming sites to avoid unwanted viruses. Controversial Content: block content related to hate groups, cults, illegal drugs and other types of illegal activity. Pre-selected websites: select the exact websites you want to block access to. While Norton is a more established company and provides a more in-depth variety of parental features, these tools can take some time to setup and master. BullGuard on the other hand has a simple parental control section in its software that only takes just a few minutes to set up. To get started with BullGuard, users simply need to create/select a profile and can view reports right away. Norton does allow users to try its parental controls for free for 30 days, but that’s not enough to make it more simple to use for the average user. BullGuard’s parental controls are new to the software, and it has some catching up to do in terms of sophistication, but it’s no contest when it comes to simplicity and ease of use. Mobile phones need to be protected and monitored just as much as PCs. To address this issue, Norton provides supervision of mobile apps, text messages and instant remote screen lock. BullGuard addresses this by providing limits on messaging on communication services, including dating sites, chat rooms and social networking sites like Facebook and Twitter. While neither of these programs has advanced mobile protection, Norton has a few more tools to help parents monitor and block and mobile content. 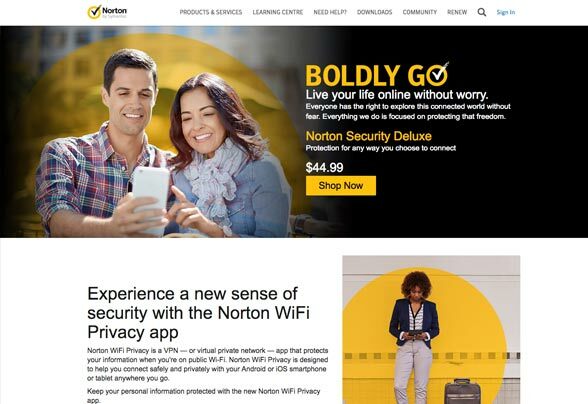 Winner: Norton simply protects your mobile device better than the competition. BullGuard has an outstanding logging policy and makes it easy for parents to retroactively view what their children are seeing throughout the day (or week or month). BullGuard will log every single action that is taken on the PC/mobile and log it in a journal. Stored information includes (but is not limited) to: chat room messages, instant messaging, time spent on sites and blocked sites that were attempted to be accessed. Norton has most of this information available through parental controls, but it can be a bit more difficult to find and digest. For starters, you may have to upgrade to the premium package to get the same level of logging, and the data will not appear in a easy-to-understand page like with BullGuard. While Norton certainly allows parents to log and monitor everything done on a certain PC or device, it’s not as easy or quick to use and understand. Winner: BullGuard never keeps logs of your data, meaning you never have to worry. Overall BullGuard provides an easy-to-use antivirus software with simple parental controls. It’s easy to setup an account and set basic restrictions on adult content, messaging services and any other specific websites that parents may want blocked. Norton provides a much more complicated product. While it is much more in-depth, it takes longer to understand and this can be unattractive for many busy parents. If you are looking for simple parental controls that will block unwanted sites, BullGuard should be the software of choice. Overall Winner: BullGuard is the superior choice. Its parental controls are top of the line, simple to use and free to try.